Sweet and spicy, it’s probably my absolute favorite combination. Chocolate and chipotles, sweet and spicy wing sauce, so many options! 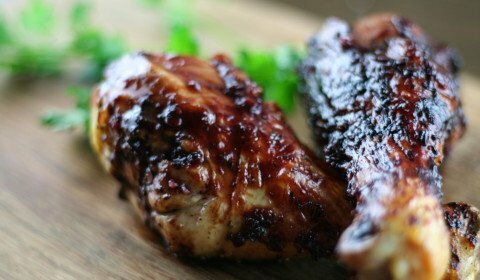 I’m also a lover of sweet BBQ sauce, which actually probably goes against my KC roots. I’m pretty sure traditional KC BBQ sauce is not sweet, err..maybe I should brush up on my KC BBQ knowledge?? 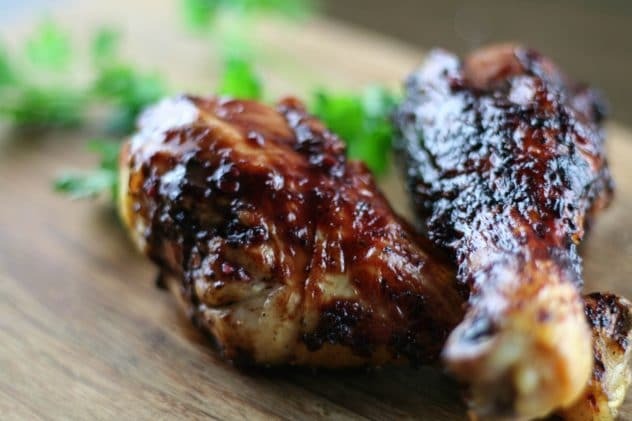 I’m always looking for ways to not only create Paleo-friendly sauces to replace the yucky store bought versions, but also looking for how I can spice things up. 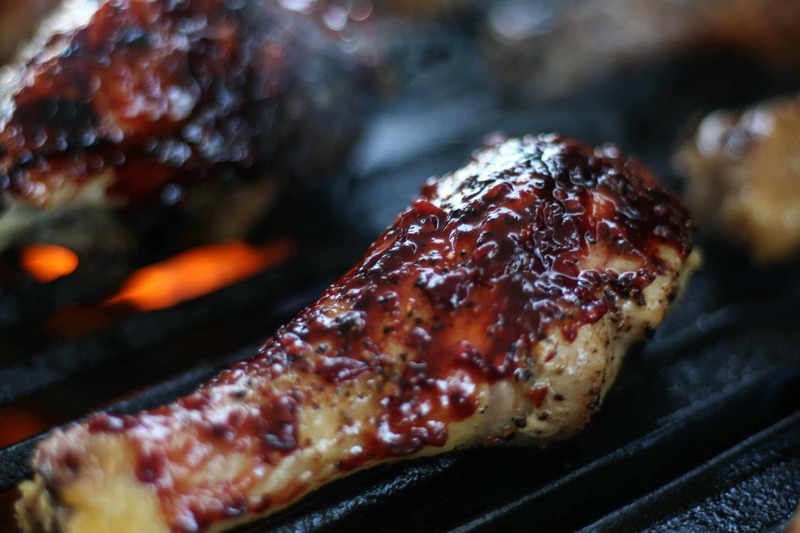 Enter the Blackberry Chipotle BBQ sauce. This idea actually grew from one of my favorite pizzas at a local winery, Van Till Winery. They have a delicious raspberry chipotle chicken pizza that is divine! 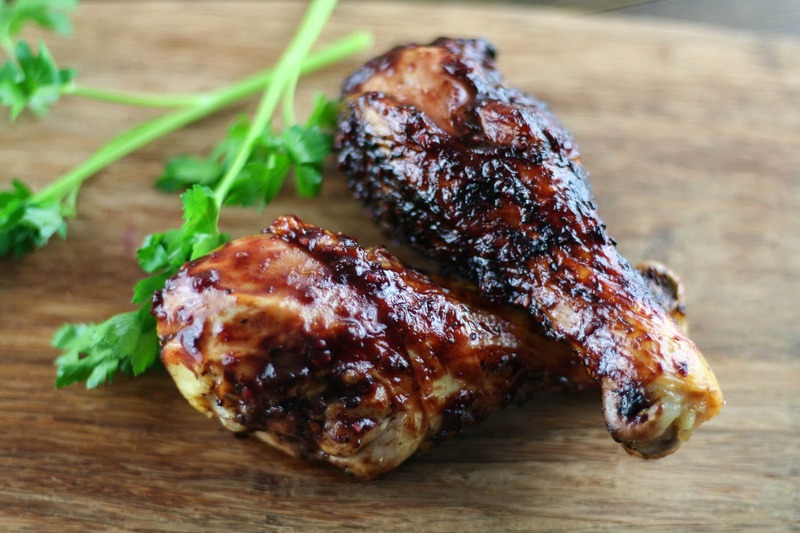 I’ve tested out several variations of a homemade raspberry chipotle sauce but never landed on one I liked. I’ve tried using raspberry jellies, red pepper flakes, etc., but none of them ever gave it that savory sweet + smoky flavoring. I decided to try a variation with blackberries and voila, we have a winner! The combination of the sweet blackberries with the smoky chipotle chiles in adobo gives this sauce the perfect spicy sweet flavoring. It’s getting warmer outside and the days are getting longer so we’ve been itching to grill out more often. This was the perfect sauce for grilled chicken legs. Man, did these turn out good. This was the perfect combination of sweet and spicy! I can’t wait to try this sauce on some pulled pork or short ribs this summer. Bring me all the grill meat!! In a food processor, add the blackberries, chipotles, and adobo sauce, then pulse until smooth. 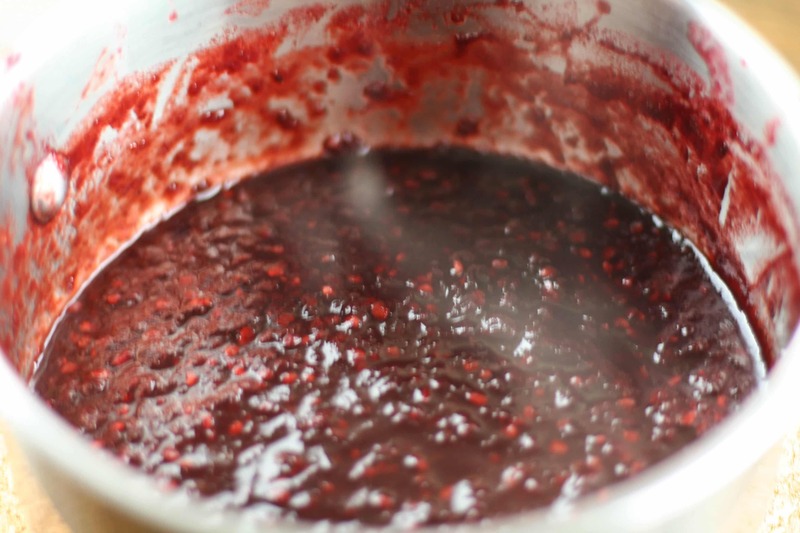 Pour the blackberry mixture into a small saucepan and add in the remaining ingredients. Bring the mixture to a simmer then reduce heat to medium low. Simmer until reduced by about 1/2 or until slightly thickened. 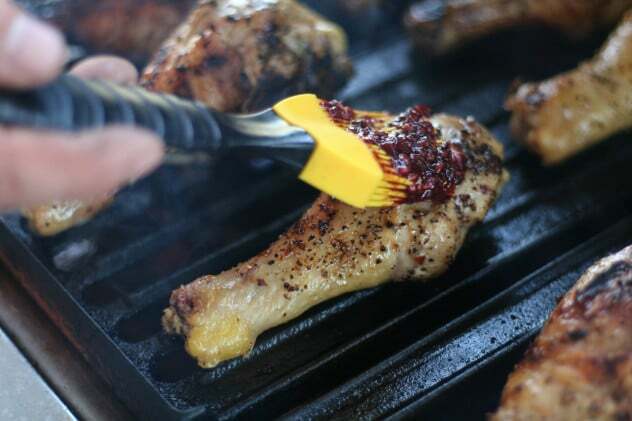 Brush sauce onto meat while grilling, use additional reserves afterwards as you would like.